With so many car cleaning products in the market nowadays, it is difficult to know for sure which brand of products will deliver on their promise. Some brands yield better results than others but the everyday consumer has neither the time nor the resources to try every product. That is why most, if not all, car owners look for a trustworthy brand with a long history of satisfying consumer needs, a brand like Blue Coral ®. Blue Coral ® was established in 1927 in Cleveland, USA. The fact that it is still operating 90 years later, as one of the largest automotive brands in the world speaks volumes of its quality. Blue Coral ® has achieved this long and prestigious history by providing car cleaning and car care products that have outstripped the competition. Today, Blue Coral ® products are the most sought after because of their consistency and effectiveness in getting rid of stains, marks and blemishes on your car and giving it a long lasting shine. 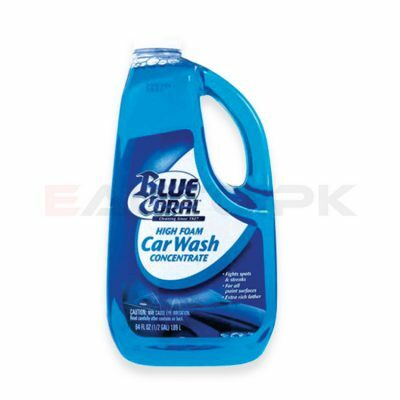 EAUTO.pk gives you the opportunity to buy all the best quality Blue Coral ® car care and cleaning products online. Blue Coral ® manufactures products that cater to every part of your car, from the wheels and rims to the interior upholstery. Try the Blue Coral Wheel and Tire Cleaner that will get rid of those stubborn smudges and make your car rims shine again. Or make your car exterior gleam by using Blue Coral Wash and Wax and protect it from the dust, dirt and debris of the road with Blue Coral Spray Wax. 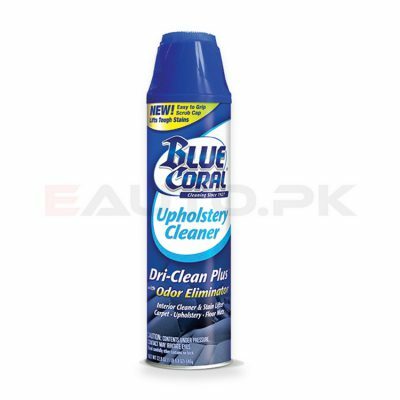 Clean the interior of your car with Blue Coral Dri-Clean Upholstery Cleaner and protect it with Blue Coral Protectant that keeps the upholstery from being ruined by spills, stains or tears. 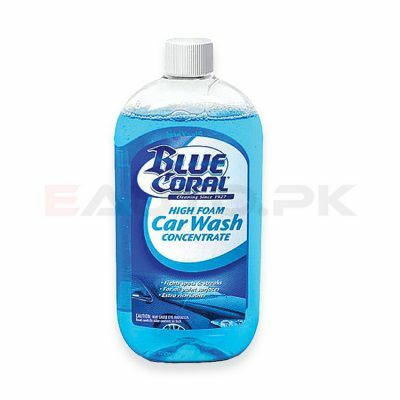 You can buy all of these Blue Coral ® products and more on EAUTO.pk where we offer the best car accessories and products at the best prices in Pakistan.